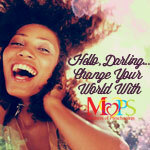 The 4-1-1 On Motherhood: Straight From The CEO of MOPS International. As work from home mom and a MOPS leader, I often wonder, day-dream what it must be like to be working in the boardroom versus my kids’ bedrooms. Do you ever day-dream or think the working mom has a more glamorous life? Sometimes we are such a hurry to skip through the seasons of motherhood, we forget why we’re moms in the first place. Sherry, if you could give your best advice possible to a mom who is in the trenches of motherhood right now, what you say to her? We hear a lot that we need to enjoy the season we’re in, I really wished I would have slowed down and really enjoyed each day. Sometimes that’s so hard when we wish we could get through the season (i.e. toddler tantrums). I also wasted a lot of time comparing myself to other women. I needed to realized that God designed me to be Sherry. God designed me to be me. I would also encourage moms to slow down, enjoy the moments and live each day to the fullest, ask [God] him every morning, what do you have for me today, who do you want me to influence today. 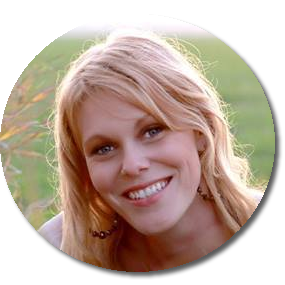 What do you wish someone would have told you before you became a mom? Everyone talked about the delivery, no one really talked about what momhood is going to be like, what the everyday going to be like. No one really ever talked about the discouragements and what you do about that. That is whats so great about MOPS because other moms get you. It is a place where you can go for encouragement– to be you and ask questions and relate. To know that what you’re going through is normal. Can you explain how to model a close relationship to God in front of your kids? My husband and I were in ministry together for 30 years. I wanted to show an authentic relationship in front of them. We worked really hard on being real in front of our kids. We took problems together in front of the Lord as a family, we didn’t hide things from them. If you go back and look at the stories like Jonah and the whale, and Moses leading God’s people. You’ll see they walked in faith. We’ve experienced scary things like my daughter having panic attacks and learning how to lean on God as a family. God didn’t heal her right away, instead we focused on what it means when he doesn’t answer right away. That’s where faith comes in, we don’t give up and give in. The Surratts don’t give up, don’t give in, we lean on God’s promises. To model a relationship with God in front of your kids, it takes being real and being authentic. When it comes to connections and developing friendships, what do you look for in your friendships? I look for somebody who can be real, who doesn’t put up pretenses or pretend to be someone who she isn’t, she lets me be me. She also has to have a firm belief in God. I look for someone who lets me call with my problems and helps me pray. And she has to be able to laugh, to see the humor in situations and life. What is your ideal Mother’s day like? Being surrounded by kids and granddaughter. I’ll be with my mom this year–she’s 76 years old. In the past, my favorite Mother’s Days have been spending it with my kids, I love the homemade cards the most and just being with them, watching them. Just like other moms, I love watching them and knowing how special they are. And what does a typical day look like for you as the CEO of MOPS? It’s an action packed day of meetings. There are so many departments. It’s wonderful but it is nonstop, I do wish for more thinking time. A typical day starts at 7:45, and I arrive early for prayer time. Then its back to back meetings, strategizing. We just got finished with Summit and now its time to plan for Convention. But everyday on my way to work, I ask God for wisdom. Sometimes leadership is scary because you don’t know what’s ahead, leaning on God helps with this process because leadership stretches you and grows you. If you are authentically coming to him, he will be there. My life verse Philippians 4:4-6, but this year I’ve been leaning on a new verse: Psalm 28:7, I began leaning on Psalms because of what a big opportunity it is and wanting to know this is where God is leading me for MOPS. I REALLY enjoyed taking a moment to speak with Sherry. Such valuable wisdom to glean and store away for a little Nebraska girl.It was a great experience to talk with a woman who is leading an international organization, and with all titles put aside, I realized, she is just as down to earth and real as me. She has her trials and triumphs but what I love most is her passion for our God!